A few months ago I wrote a post about creating a keyboard riser to tilt my keyboard towards me because the feet were broken. 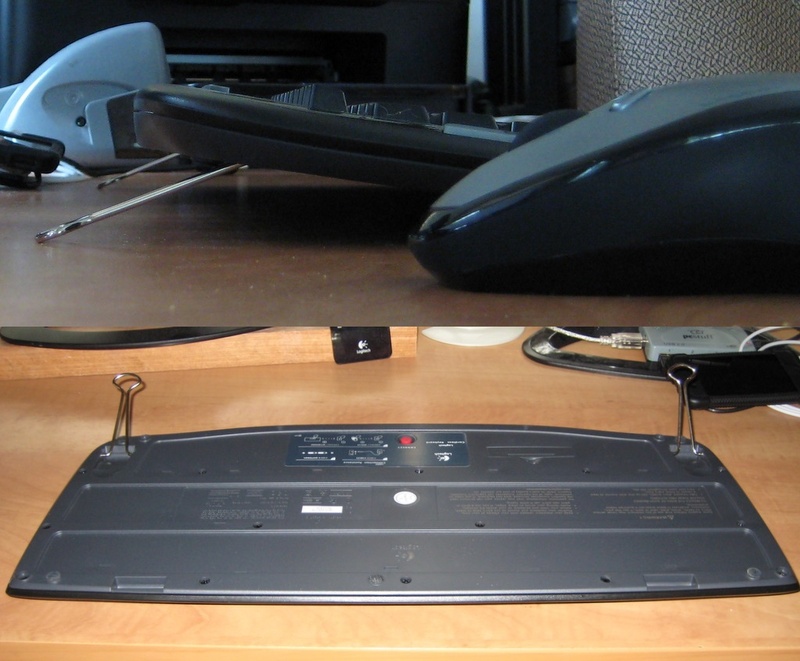 Today Lifehacker posted a much simpler solution to my problem: using binder clips to replace keyboard feet. As soon as I read the article I did a figurative face-palm; it was a far simpler and quite elegant solution to the problem. While my shop-built keyboard riser has been doing a satisfactory job, the keyboard does slide around on it at the worst times. So I figured I’d give the binder clips a try. I found that the handles from a 2″ binder clip to give me about the same amount of lift as the keyboard riser did, although, if you hit the keys hard enough there is just a little bounce due to the springy nature of the binder clip handles. This could actually be a feature rather than a bug though, by absorbing some of the impact on each finger it might be more comfortable in the long run. In the end I don’t regret making the keyboard riser, after all it was time spent in my shop solving a problem. That’s my favorite type of project. You just made my day. Congratulations on a simple, yet genius fix.